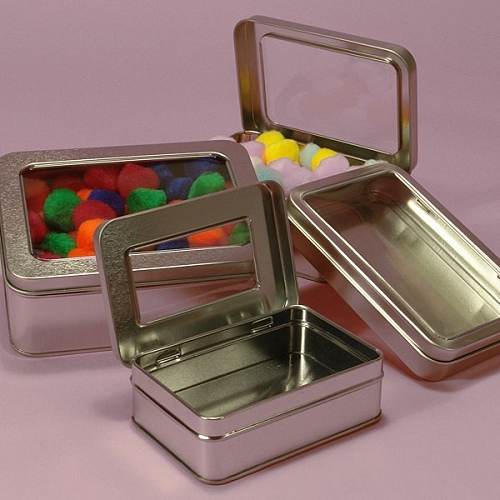 The 7 ounce Rectangular Cans possess a hinged windowed lid that allows your candy and other small items to be viewed. 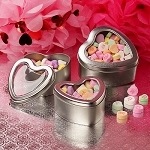 Placed on your countertop, your items will get noticed within these rectangular cans. 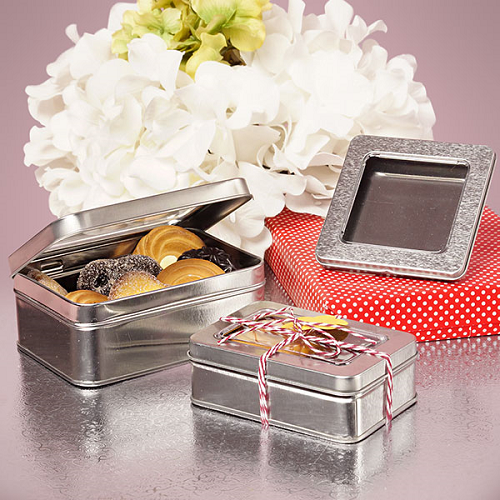 These steel tins are the ideal gift containers for any event. 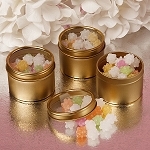 For baby showers fill them with pink and blue candies for an added personal touch. 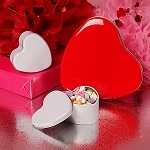 No matter what you put inside these beautiful rectangular tins, you are sure to be the talk of the town. Place your order today.